Aside from a brief teaser trailer I had seen nothing of The Mummy prior to watching it. I have fond memories of the 1999 Brendan Fraser version and wasn't even sure if this was a remake of that or something entirely different. What this is unfortunately is the debut film in Universal Studio's hoped for cinematic universe(al) they are calling 'the dark universe'(al). On paper that sounds like a great idea, the Universal monster movies are classics for a reason, so putting all their monsters into an interconnected universe sounds solid. However this does feel very much like it is following the trend, and making the same mistake the DC cinematic universe did by trying to do too much too soon. Soldier thief Nick Morton (Tom Cruise) uses a stolen map to discover an Egyptian tomb mysteriously hidden deep below the ground in Iraq. Him and the maps original owner; Jenny Halsey (Annabelle Wallis) explore the tomb and Morton ends up freeing a sarcophagus that was secured in a pool of mercury. The ancient coffin contains the remains of Ahmanet (Sofia Boutella), she was an Egyptian princess who made a pact with the dark God Set in order to seize control of Egypt. In return she was to summon Set into physical form, however her ritual was interrupted and she was buried alive and erased from history. By freeing her from her prison she has decided Morton is to be the 'chosen one' who will be a vessel for Set. In transit to England she orchestrates an escape from her containment and with a growing army of zombie slaves she sets out to recover the dagger needed to complete her ritual. Meanwhile the now cursed Morton teams up with a secret group of monster hunters led by Dr Jekyl (Russell Crowe) to find a way to stop her. The Mummy fails at several key points, the first of which is the pretty terrible characters. Cruise himself is ok, his lovable rogue not so lovable and more a bit disjointed, seemingly in a permanent state of wanting to do the right thing and looking out for himself. He is joined by an awful comedy side kick (fellow soldier Chris Vail) who thankfully kicks the bucket early on, but then returns as an awful comedy zombie side kick. Least he isn't in the film too much. Then we have the love interest in the form of Halsey who I just found to be super irritating and not even really needed. She seemed to exist only to interrupt passable action scenes, and to be a living, breathing McGuffin to propel the story forward. Her character existed only to motivate Morton into carrying on the storyline rather than running away from his troubles. 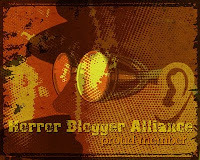 It is not all bad news though as the bad guys step up the interest. Dr Jekyl (and spoiler alert; Mr Hyde) was kind of a cool character, I enjoyed the divide between the two and how that was presented on screen, Hyde's cockney voice was great. His appearance even brought about a slight mid film increase in entertainment. I also loved Boutella as the main antagonist. It felt refreshing to have a female take on the classic movie monster and while she doesn't get to do too much she looked great (especially loved the effects of her two pupils in each eye ball, and the design of her character in general). There are some moments of pure horror but this is much more action in scope which was fine, it's just at times the tone of The Mummy seemed torn between trying to be comedic and trying to be scary, and failing at both. Some parts were mildly amusing but often the humour was a big miss for me. There were a few pretty exciting action sequences, one which takes place in a free falling cargo plane had some pretty amazing looking Inception style rotating room effects (this one was actually done for real in a vomit comet, impressive looking scene). Later on we get a chase sequence though a London filled with a sand storm, and all through lots and lots of battles with numerous zombies. Sure it was cool to have the undead feature as Ahmanet's minions but they never really stood out. I liked the weird stop motion effects for them but they never felt like a real threat due to how weak their bodies were. It led to a few stand out moments such as one sequence of Morton swimming through a flooded tomb followed by zombie Templar knights swimming after him, and a couple of fun enough fight scenes, but the dark look of much of the film detracted from what should have been a spectacle. 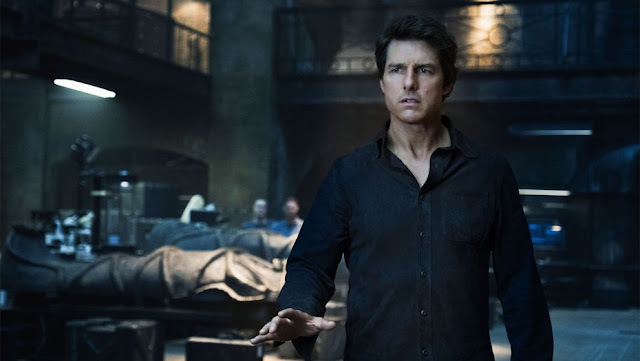 It all leads up to a disappointingly predictable finale that then hints at the possibilities of future instalments, and the realisation The Mummy is pretty much just one big origin story for what Cruise's character becomes. I found myself bored for a lot of the films running time which is a shame, I wanted it to be better than my low expectations, and while it isn't terrible I couldn't help but constantly yawn, I even looked at my watch (phone) at one point to see how much longer was left. There are moments of promise here, most the special effects were pretty awesome looking, and I did love the look of the antagonist. I also liked the way that Morton had to fight the mild mind control he was under due to the curse he had, led to some entertaining moments. I may have said this suffered from being part of a cinematic universe but I did get a little bit of fan boy joy at seeing a vampire skull, and a merman flipper in one scene, I just hope that like the DC movies the tone improves. This tried to be funny and mostly failed, but then it also was just too drab and dreary, I wish the bright vibrant colours of the flashbacks to ancient Egypt had permeated the film more, I longed for some decent lighting to come out of the muddiness. 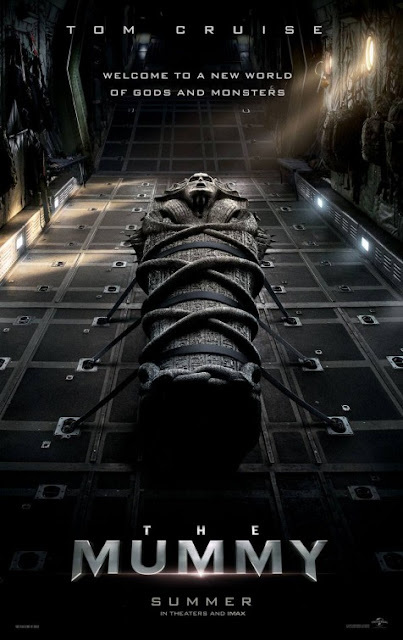 The best thing I can say about The Mummy is that it wasn't a terrible film, it's just a shame that all too often it came across as generic and a little bit dull.